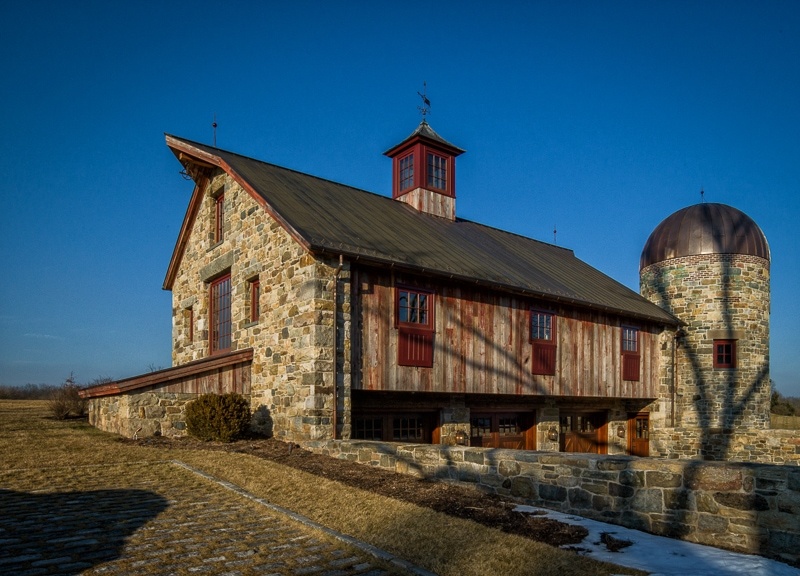 Whether it’s the cathedral-like atmosphere or the honesty of the structure, barns seem to resonate with people. “Buy it”. I asked Jim Becher to repeat what he’d just told me. Then I had to admit we didn’t have enough money in our checking account to buy the antique timber frame barn in Pennsylvania I’d been telling him about. “You’ll have a check by Fed-Ex tomorrow morning”. He told me he was looking forward to working with us and hung up. 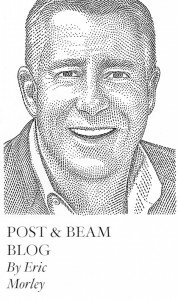 My next call was to the architect (Jim Meyer of Meyer Greesen Paullin Benson) to ask if he thought Mr. Becher was serious. 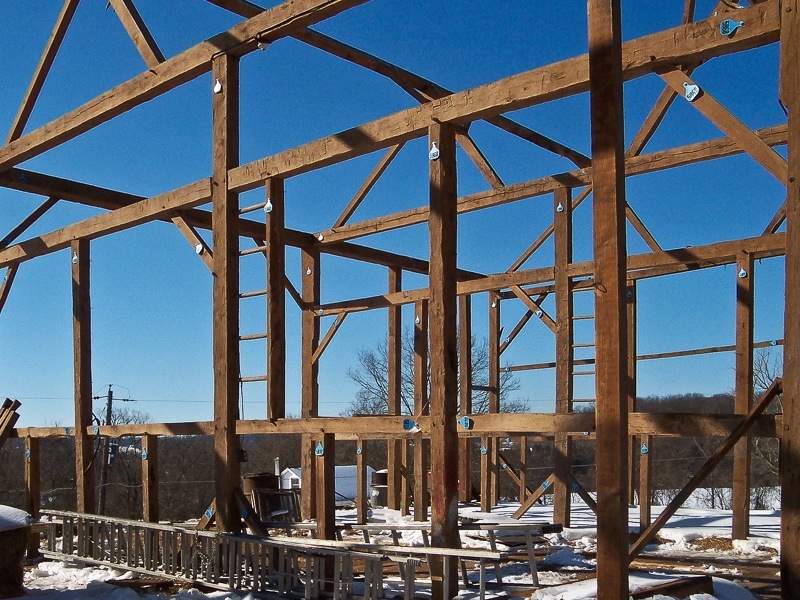 After Jim Meyer assured me I didn’t need to worry about Jim Becher’s word, my third call was to my Mennonite friend in Pennsylvania, who that morning, had emailed me photos of a spectacular antique hand hewn Oak timber frame barn he was reclaiming. I told him we had a client who wanted to purchase the timber frame barn and build a party barn on his farm. See inside the largest horse barn in the U.S. So began our involvement with Jim and Betty Becher’s fast track project to covert their existing cattle barn into a Party Barn. 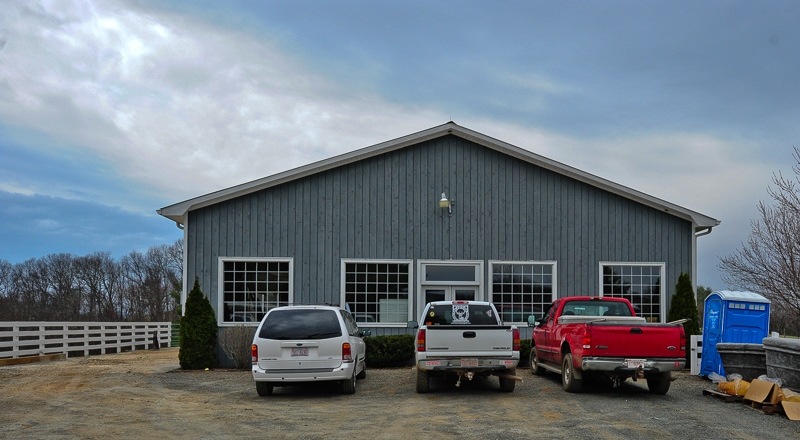 Betty and Jim’s inspiration to build a Party Barn came from a visit to Blackberry Farm in Tennessee and the fast track part of the project came from Betty’s approaching birthday party deadline. Jim Becher’s emailed comments after we finished? Located on over 700 acres in the rolling mountains of Alleghany County in western North Carolina, Bittersweet Farms is home to over 300 head of black Angus and black Belted Galloway cattle. 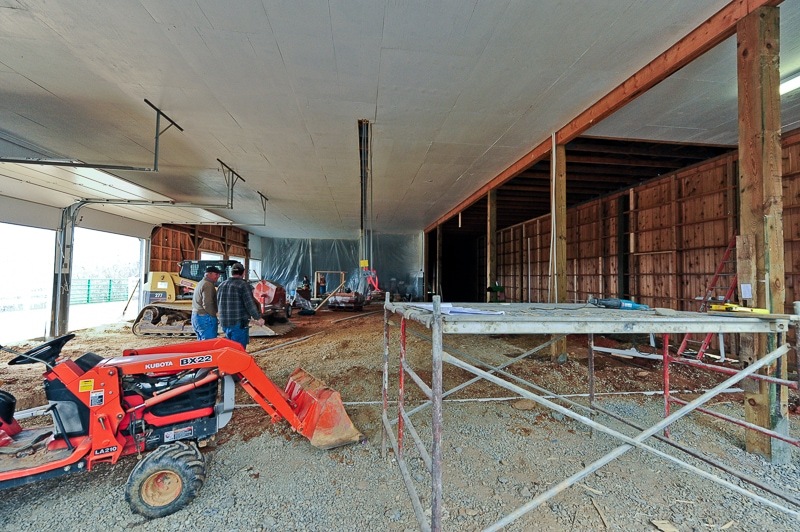 Don’t have an existing working cattle barn on your property to renovate? 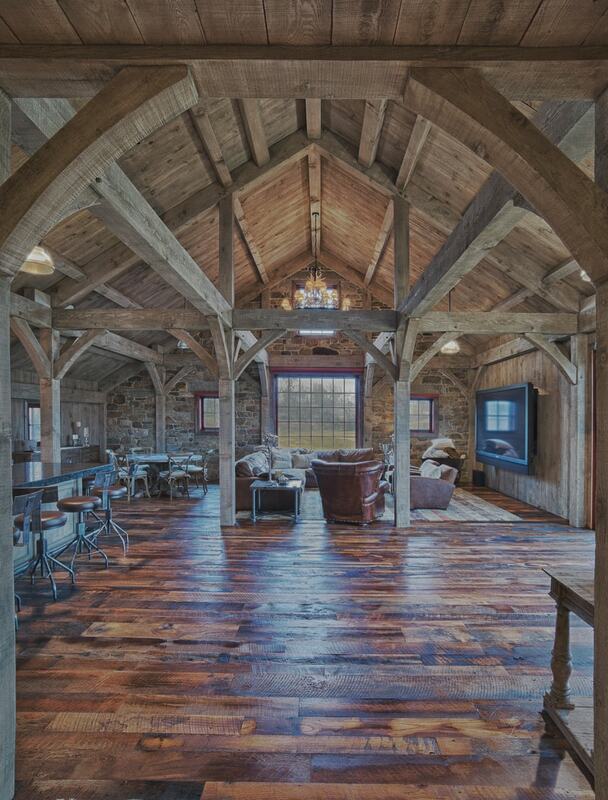 Build a new Party Barn–either using a relocated antique post and beam barn or use new timbers and build a party barn like this one. 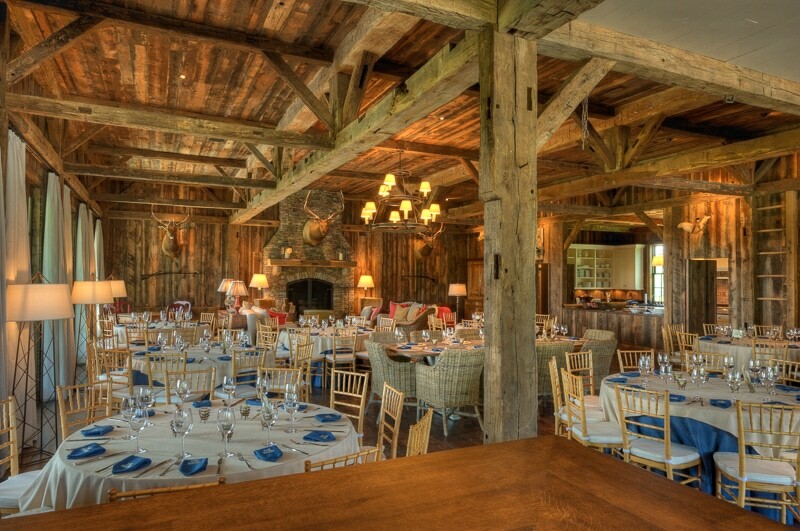 Michael Brandes (Brandes Maselli Architects) selected Carolina Timberworks to fabricate and erect the timber frame for a new Party Barn located on a golf course. In order to keep costs down, new rough sawn Douglas Fir was chosen for the timber frame. 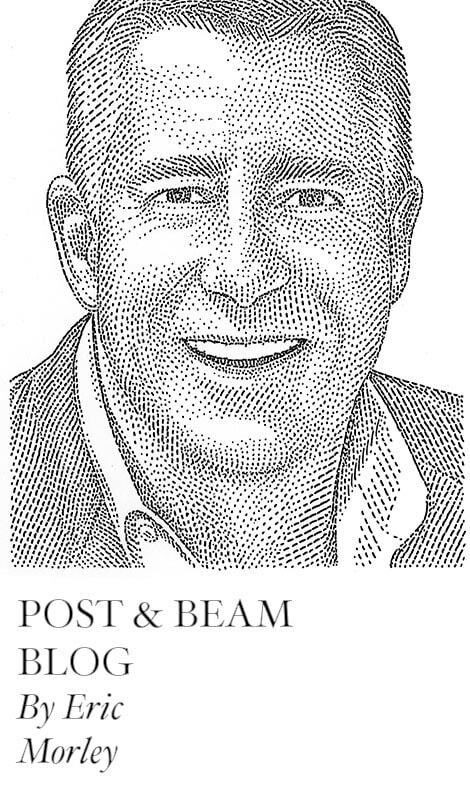 It’s not easy to replicate the patina of time and weather-worn barn timber. At first glance, a piece of antique timber looks gray. A closer inspection will reveal subtle shades of brown, black and silver. We’ve seen new timber faux finished in an attempt to duplicate the look of aged timber, but it often falls short of the mark. However, the finish that Michael’s people applied to these new timbers is, in our opinion, quite authentic. Three years later, it was decided that the Party Barn needed a silo. 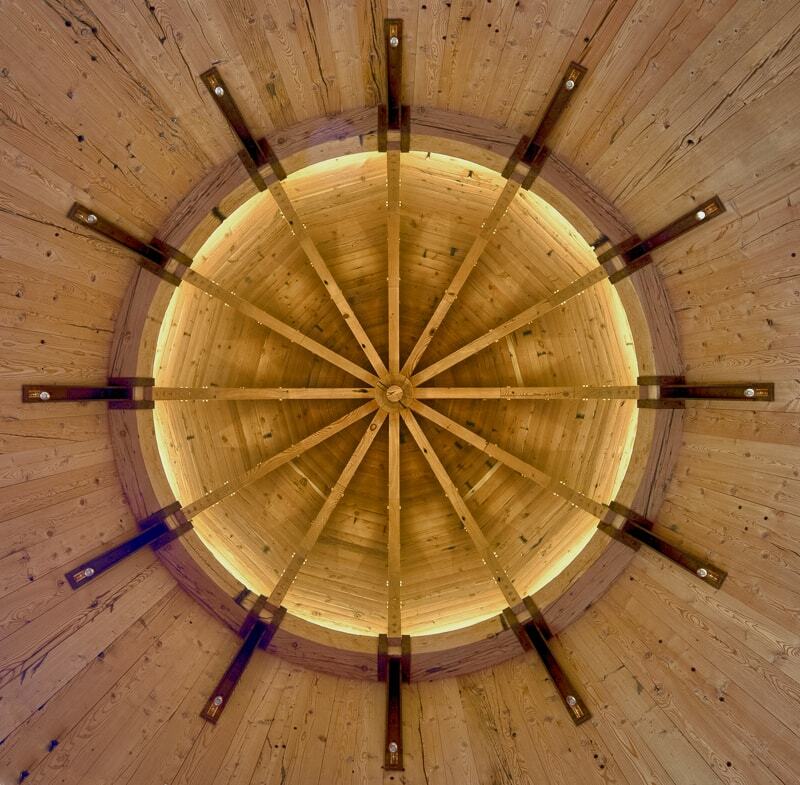 We built the timber framed domed silo roof from Douglas Fir reclaimed from the San Diego & Arizona Eastern Railway, better known as “The Impossible Railroad”. Built from 1907 – 1919, the construction of this 146 mile long railroad from San Diego to El Centro to the east overcame a series of catastrophes and misfortunes–including, but not limited to, the Mexican Revolution, a prolonged legal battle, floods, World War I, labor shortages, tunnel collapses, and a pandemic thrown in for good measure.